The type of window blinds you choose can significantly affect the interior decor of your home. Do you know which window blinds have remained the most favourite choice among interior designers? Styles come and go but wood blinds don’t seem to go out of fashion. The ability to effortlessly blend well with all home designs makes wood blinds a top choice for both traditional and modern spaces. These blinds can give your home a timeless charm and are certain to look great in any room because they can be customised to blend with any style. Read on to learn why wood blinds for windows are a worthwhile investment. One of the major attractions of wood blinds for windows is the aesthetic value it possesses. Real wood is an elegant looking material, giving your home a sense of luxury and style. It remains a popular choice for homeowners because of their consistent appeal. You can match wooden blinds with any modern interior trends and that’s what makes it a timeless investment piece. Whether you want to give your home a formal ambiance or a casual look, wooden blinds remain ideal for almost any look. You can also use it in the bathroom or kitchen areas. Although they are expensive, wooden blinds are worth your dollars. The reason your home loses so much heat through windows is that your windows have poor insulation. What’s the best way to reduce heat loss through windows? Invest in quality wooden blinds. Wood is a better insulator than glass. It has the best insulating properties, so by choosing it, you will keep your home warm and comfortable during winter. They help reduce energy consumption. The insulating properties of the wooden blinds will not only keep your home warm during cold season but also keep it cool in the hot season. During hot seasons, the thick wooden slats block out sun rays and ensure its only cool air circulates in your home. The fact that it keeps your home comfortable through all seasons, and does it well makes it a good investment. High-quality wooden blinds require minimal maintenance. Every homeowner hates to spend time and resources doing tiresome maintenance-related tasks. They are also extremely easy to install. You don’t need an expert to install it for you. Furthermore, it’s easy to clean wooden blinds. You just need to dust them once or twice a week using either microfibre or a feather duster. This is enough to remove dust and keep it fresh. You can use warm water and a cotton duster when it’s stained. Privacy is often a highly sought-after attribute for nearly all homeowners. You need a set of window blinds that will help you attain privacy. While all blinds can help you attain some level of privacy, the width, and impenetrability of wood completely block the view, offering you a high degree of privacy. Since they can completely block light, they are ideal for a bedroom. 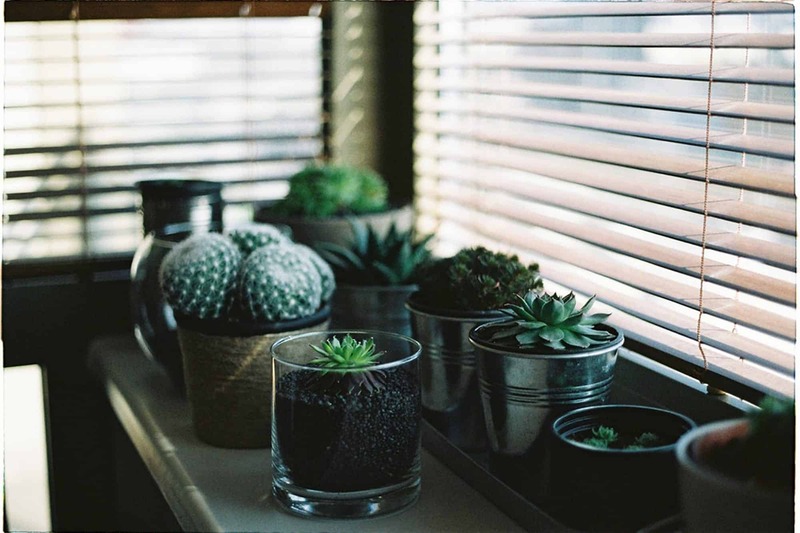 While other blind materials are translucent and people can see shadows from outside, wooden blinds hide anything you don’t want people to see inside your home. Apart from blocking light that disrupts good sleep, it also shields you and your furniture from harmful UV rays. Wooden blinds provide formidable protection from the scorching heat that is harmful to your health. Wooden blinds are also best when it comes to noise regulation. This can be extremely helpful if your home is located in an urban area, or you just have noisy neighbours. 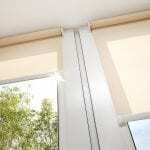 Of course, you don’t expect it to fully reduce the noise, but it provides a better barrier to noise than other blinds. Wooden blinds can offer a modern, rustic or classic feel to space. They are available in different texture such as mahogany, bamboo, beech, and pine. They also come in in different colors and designs from dark oats to cherry wood, painted wood to fall natural wood blinds. You have a rich variety to choose from and that’s it’s very easy to find a matching style for the space you’re decorating. No matter their width or length, wooden blind always promote a classic neat look. If at some point you wish to redecorate your home, all you need to do is a slap on a new coat of paint on the wooden blinds. This is not the case for fabric or plastic blinds since they don’t fit different styles. It’s very easy to customise wooden blinds. You can choose between horizontal and vertical varieties, you can go for the slat size and still have options when it comes to wood type. There are also some optional features such as UV blocking, fabric tapes and motorised functioning that can be added to wooden blinds. The customisation makes it possible for the wooden blind to match any look. They are also made to measure. Made to measure means you can easily get the perfect sized blinds. You just need to measure the size of the window, order your wooden blind and install it by yourself. They are very strong and durable. They are able to survive years of use and still look fresh. They look great on their own but you can also add some layering designs on it. This allows interior designers with more flexibility when it comes to design options. Layering styles give you an option to combine wood blinds with draperies or curtains. Curtains will give you the freedom to add color and texture that matches your style hence unifying your design. This will help you break free traditional wood blind atmosphere and introduce a graceful charm. Regardless of your home design and interior décor, using wood blinds for windows is a great option. 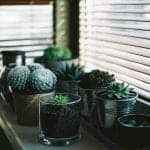 Apart from it being a unique feature of the room, it also makes your home cozy. Wooden blinds are durable than other blinds and require little maintenance. Contact us today for customised first-class wood blinds.